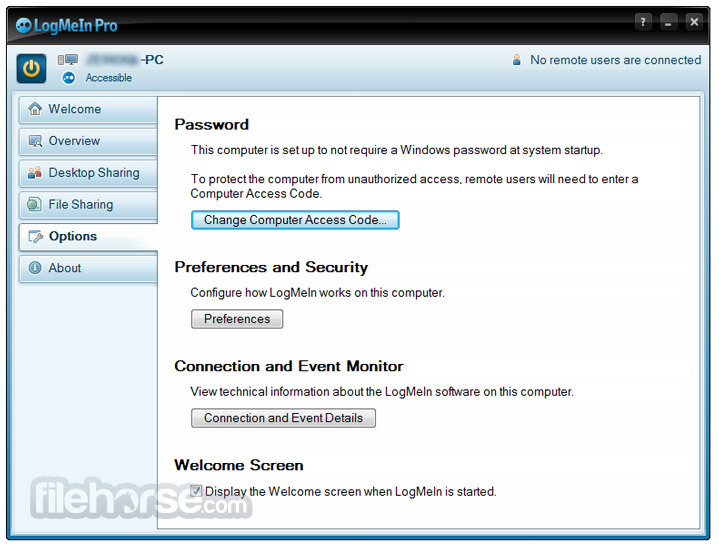 LogMeIn Free is a remote desktop access webapp that gives you the power to control your PC form the distance, browse and access your files, check emails, print files, run applications, and remain in touch with you work projects and multimedia. 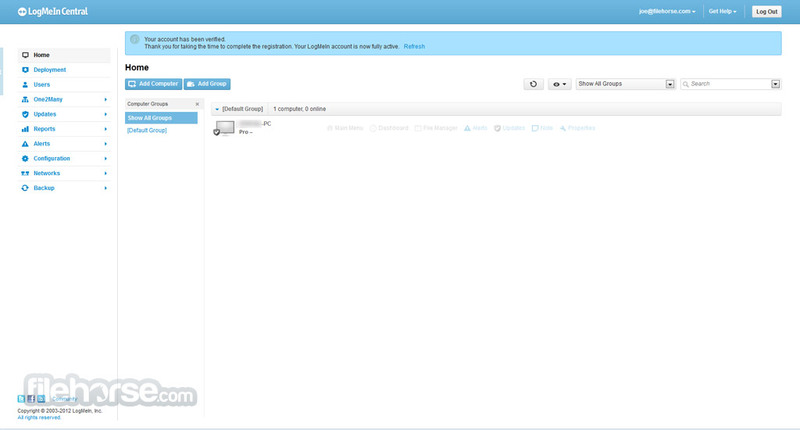 With easy to use interface and 100% free access to your home computer, you can easily create a work or entertainment connection with computers that you own, increasing your productivity and connectivity like never before. 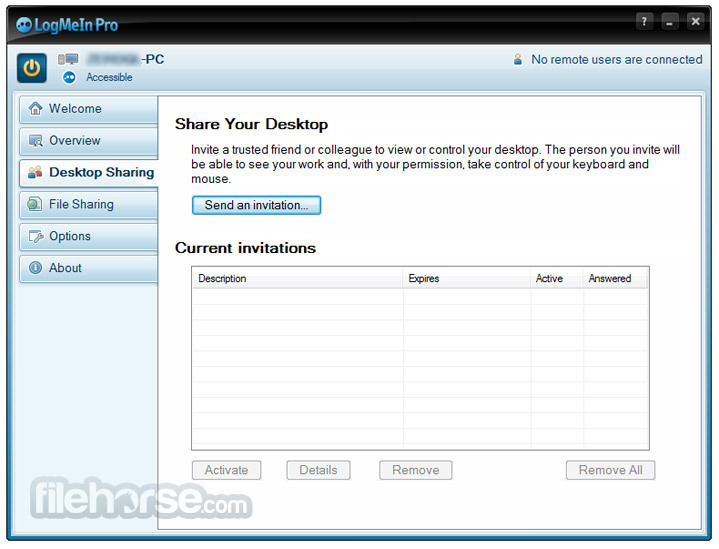 Quickly and easily control your remote computer over the web as if you were sitting right in front of it.100% free. 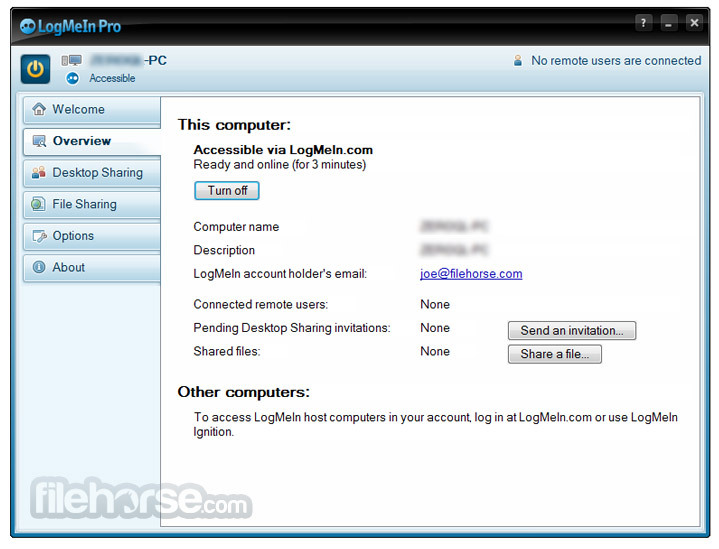 Control your computers on the go with LogMeIn on your iPad/iPhone. It’s completely free. 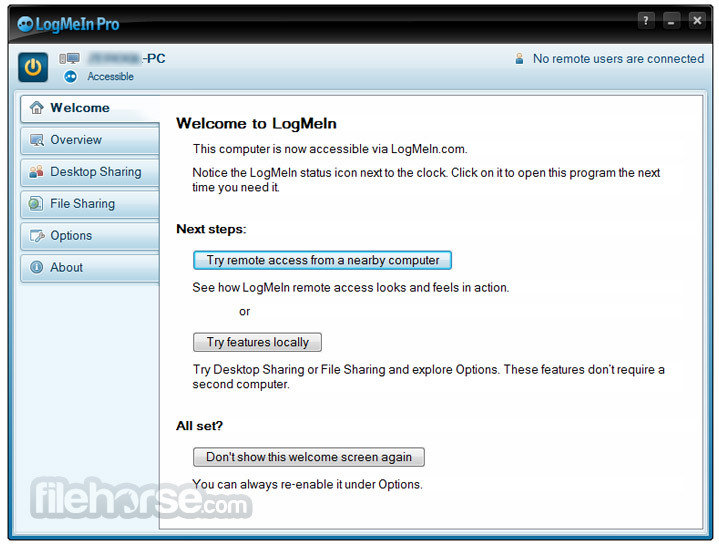 With LogMeIn, your computers are secure with 256-bit SSL encryption for all connections, from user account settings to authentication.